Tom has been responsible for innumerable projects throughout the greater Boston area and beyond for over 35 years. His responsibilities on these and many other projects entails obtaining state and local approvals, overseeing and contributing to project design, contract specifications, review of all contract documents, construction administration, and coordination of design issues with various disciplines. Tom is nationally known for his expertise in documenting and building landscapes. In that regard, he is frequently asked to collaborate with internationally known designers and has been instrumental in the translations of design ideas into documents and built landscapes. 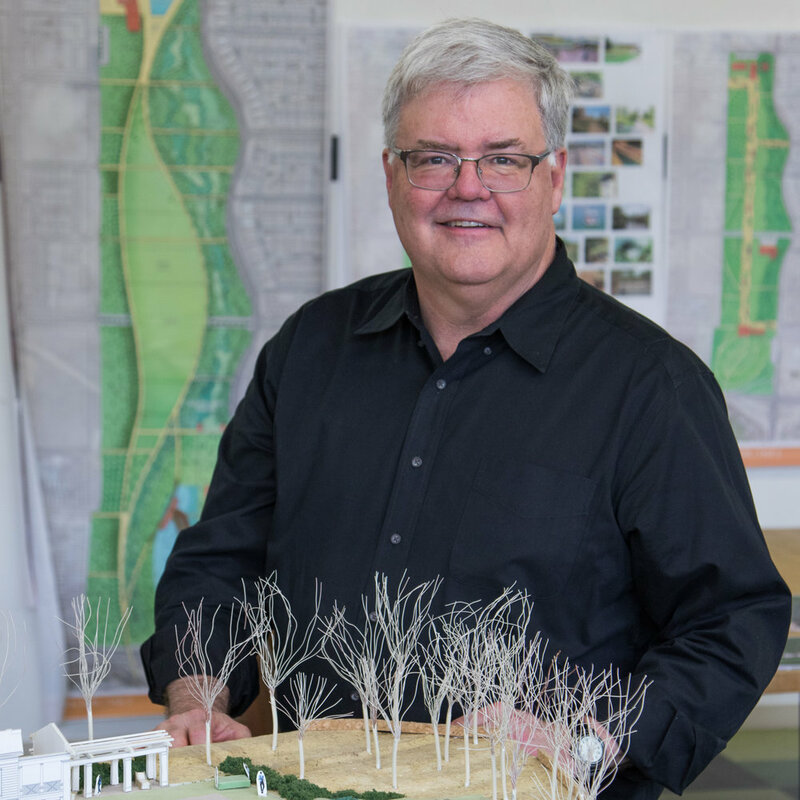 He has contributed to numerous books and articles as well as co-authoring Detailing for Landscape Architects. Prior to founding Ryan Associates, Tom was employed by many well-known Boston area firms including Hargreaves Associates where he was a Principal, Sasaki Associates, Carol R Johnson Associates, the S.W.A. Group, and Burck-Ryan Associates. He lectures widely on design, planning and technical issues and is also active as a guest instructor and critic at various Universities including Harvard, SUNY, the BAC, RISD, Radcliffe and the University of Virginia. He is currently teaching at the Harvard Graduate School of Design.